Relatório, produzido pela ANDE em parceria com a Fundação Grupo Boticário, apresenta um panorama ambiental, social e econômico do setor e fornece dados sobre o impacto do investimento na conservação da biodiversidade a partir do relatório "Panorama do Setor de Investimento do Impacto na América Latina". A fim de ilustrar o potencial de negócios e investimentos no setor de conservação da biodiversidade, apresenta um estudo de caso, e finaliza com uma série de oportunidades e recomendações para melhor fomentar o investimento neste setor. After the launch of the third edition of the Impact Investment Study, the Aspen Network of Development Entrepreneurs (ANDE) is developing a series of spotlights on impact investment in four specific sectors, to analyze and better understand trends, challenges and opportunities for growth, The sectors are biodiversity conservation, education, financial services and health. 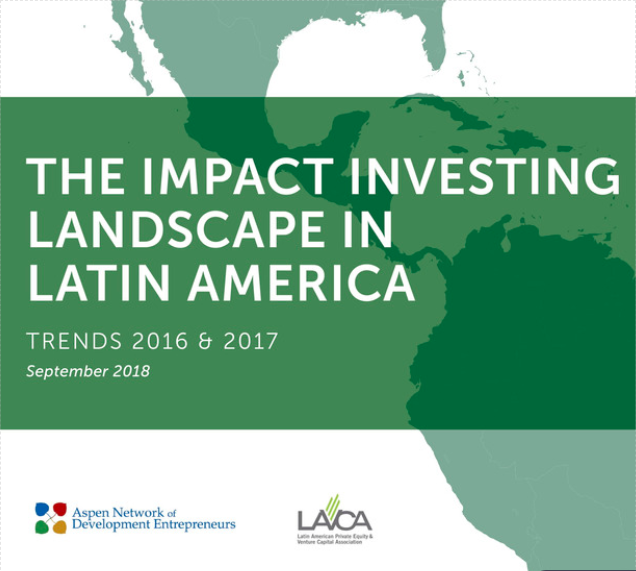 The report, produced by ANDE in partnership with Boticário Group Foundation, presents an environmental, social and economic panorama of the sector, then provides data on investment impact in biodiversity conservation from the report "Overview of the Investment Sector of Impact in Latin America". In order to illustrate the potential for business and investments in the biodiversity conservation sector, it presents a case study, before ending with a series of opportunities and recommendations to better foster investment in this sector. The new spotlight has the local panorama of the sector and shows that opportunities to improve financial inclusion are plentiful in Brazil, considering the needs of the lower income population and the possibilities offered by technological advances. Moreover, on the investor side, it suggests the need to investigate ways to offer capital with smaller tickets, as expanding the size of investments would help strengthen the pipeline of future investments. Just as entrepreneurs need to be attentive to the needs and attitudes of the lower income population to address the three dimensions of financial inclusion: access, use, and quality. Spotlight sobre Conservação da Biodiversidade é o primeiro da série de relatórios setoriais lançados pela ANDE. Relatório mostra que foram feitos 8 investimentos de impacto na conservação da biodiversidade na América Latina em 2016-2017, no valor de US $ 5 milhões, com 6 deles ocorrendo no Brasil. Mais da metade dos respondentes da pesquisa afirmaram que alinham seus investimentos com ODS que estão direta ou indiretamente ligadas à conservação da biodiversidade. Além disso, o setor ficou em quarto lugar no número total de negócios em 2016-2017, atrás de Tecnologia da Informação e Comunicação (TIC), educação e saúde, e também teve uma saída reportada no período. The Biodiversity Conservation Spotlight is the first in the series of sector reports launched by ANDE. The report shows that 8 impact investments were made in biodiversity conservation in Latin America in 2016-2017, to the amount of US $ 5 million, with 6 of these taking place in Brazil. More than half of the survey respondents stated that they align their investments with SGDs that are directly or indirectly linked to biodiversity conservation. In addition, the sector ranked fourth in total number of deals in 2016-2017, behind Information and Communication Technology (ICT), education and health, and also had one exit reported in the period.